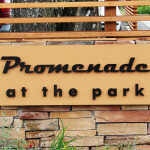 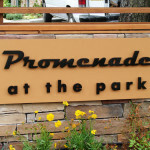 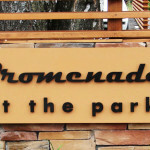 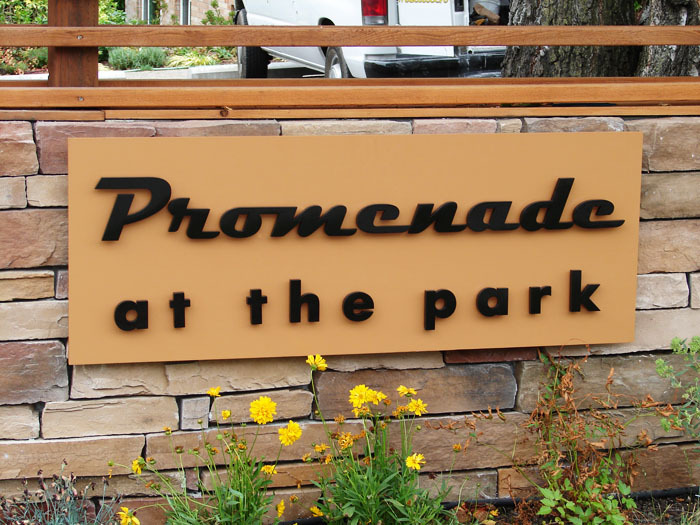 ½” thick aluminium letters are powder coated for long life in this Aluminium Apartment Sign. 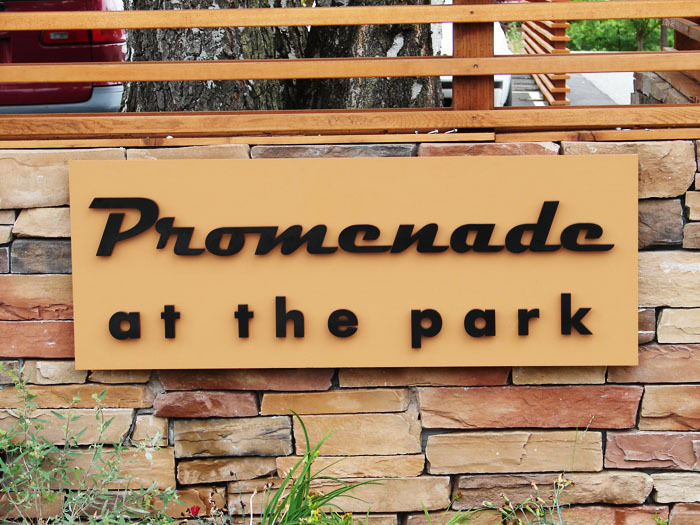 The letters are stud mounted onto a backer of ½” thick MDO signboardwhich has been digitally printed to compliment the stone wall. 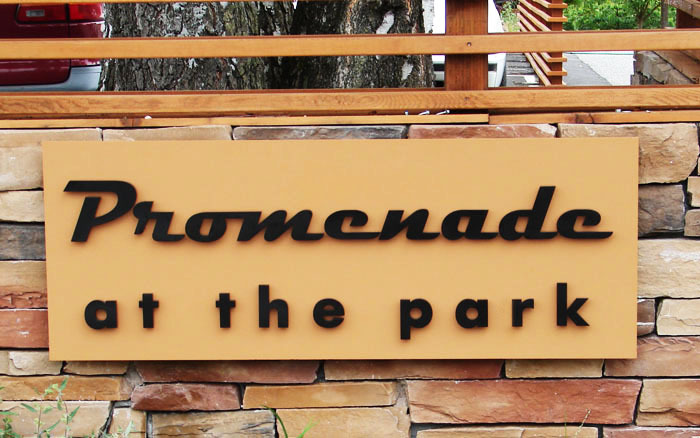 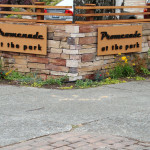 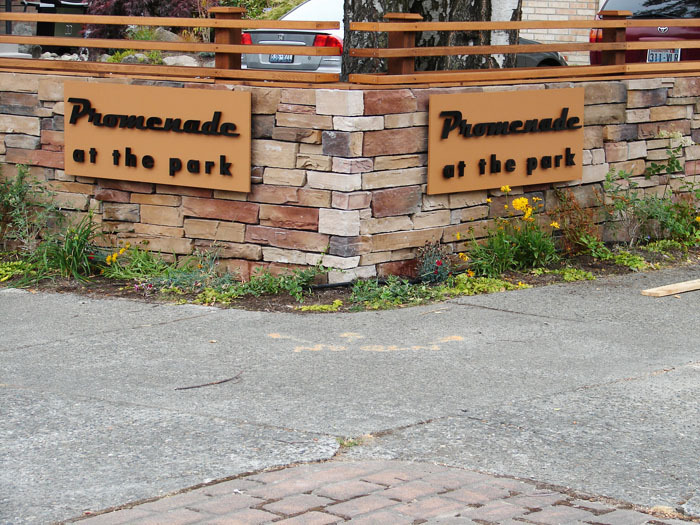 Since this sign is at street level, only the most durable materials were selected, keeping the sign looking as good now as it did on the day of install.